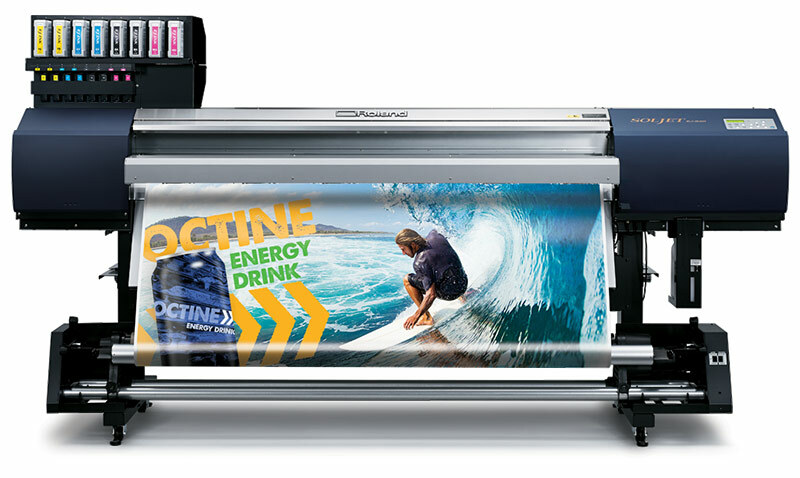 The Roland EJ-640 is a high-volume dual-head printer using 1-litre EJ ink cartridges. Both CMYKCMYK and CMMYKLcLmLk configurations are supported. The EJ systems come with front-loading ink, front and rear heaters and a front dryer, and a full take-up system. The EJ-640 also comes standard with VersaWorks Dual, the latest version of Versaworks. This includes an ink calculator and spot-color libraries.